A. Fleming Seay received his PhD from the Human-Computer Interaction Institute within the School of Computer Science at Carnegie Mellon University on May 21st, 2006. 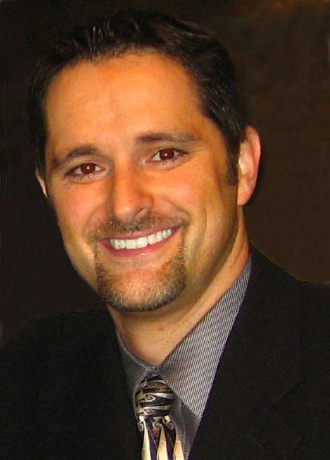 He received an MS in Experimental Psychology from Georgia Tech in 2000 where he worked closely with Dr. Larry Hodges and Dr. Richard Catrambone in the the Graphics, Visualization, and Usability Center, College of Computing, and School of Psychology. Fleming graduated from Florida State University in 1995 with a BS in Psychology and a minor in Computer Science. He is advised by Robert E. Kraut in the HCII. Project Massive previously investigated player communication and organization in PC based, massively multiplayer games. While this work continues, the inquiry has been expanded to address the impact of online gaming on the players' real life activities, perceptions, and experiences. No longer is the study limited to PC based MMOs. A number of online genres including first-person shooters and real-time strategy games have been added. Further, both console and PC player populations are included in the sample. Below are just a few of the topics that Project Massive is currently concerned with. With the help of our thousands of respondents, this research will support the future design of better, more rewarding games for all of us. My research interests include games usability, the design and production of interactive systems for entertainment and relaxation, and the study of online communities. I am particularly interested in supporting and informing the design of persistent online spaces through targeted investigation of various user populations. Themes present in my research include: examining the social and psychological impact of online gaming, investigating the creation, operation, and maintenance of online groups and communities, developing and evaluating interfaces for interaction in three-dimensional spaces, and the psychometric study of participation in three-dimensional environments. Historically, I have conducted research in a wide range of 3D HCI and Virtual/Augmented Reality areas from hardware development to psychophysics. I am also interested in the use of biometric and affective interfaces for interative narrative, art, and more conventional applications.